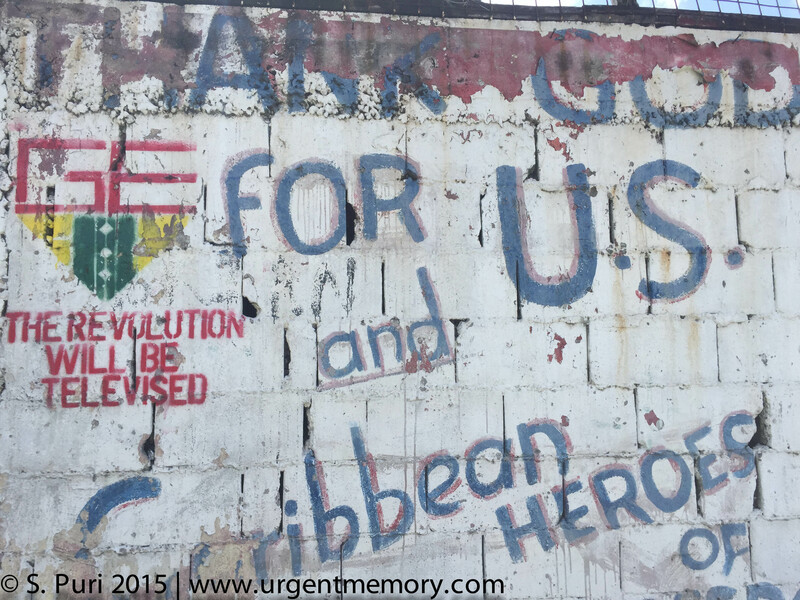 Below, a mischievous addition to the graffiti on the wall at Tempe that thanks the US and Caribbean heroes of freedom for intervening in October 1983. This entry was posted in The Story Continues by purishalini. Bookmark the permalink.